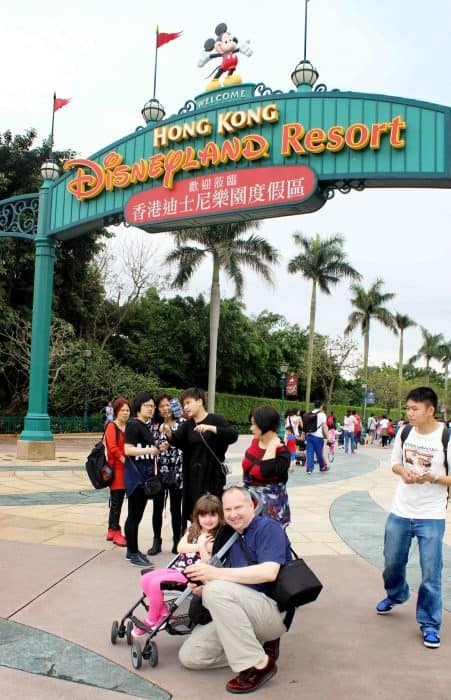 As an avid Disney addict, I couldn’t go to Hong Kong and not visit its version of The Happiest Place on Earth. My goal is to visit all the Disney theme parks eventually. But, how does it compare to those in the US? 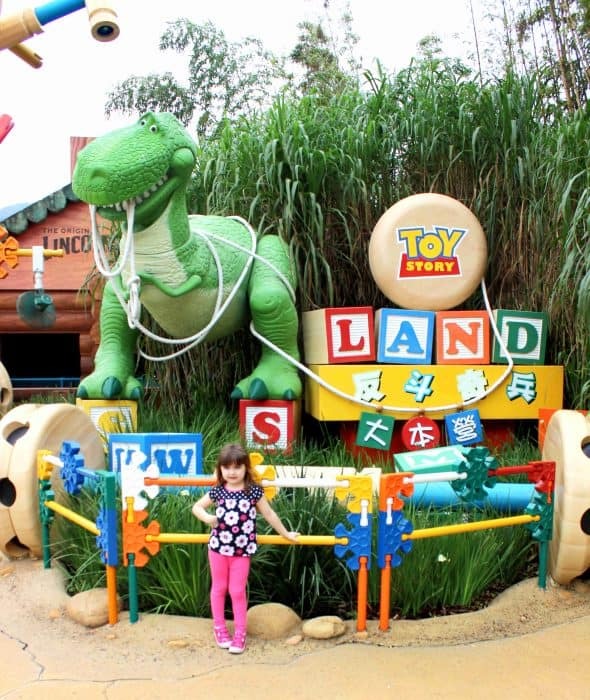 Read the full Hong Kong Disneyland Review and decide if it’s right for you. I don’t know why I love Disney Welcome signs! Hearing this park was the smallest of all the Disney parks didn’t concern me. It was Disney! And it was somewhere I had never been before. Plus, I was anxious to see the Asian influence interweaved throughout its brand. You know what? I loved it! I loved it because it was small and intimate. Lines were almost non-existent. I wasn’t my frenzied self signing up 30-60 days before to secure Fastpasses (they only have 2 Fastpass rides). It was almost…..relaxing. That’s hard for me to type because a day at Disney World in Orlando is anything but relaxing. I start planning 6 months in advance with my Disney Planning Guide. Yet, there was something peaceful about walking around the park, taking in all the Disney scenery and not having hoards of crowds around you at every turn. We were in Hong Kong at the end of March so I’m not sure if this is a slow time or we were very lucky. 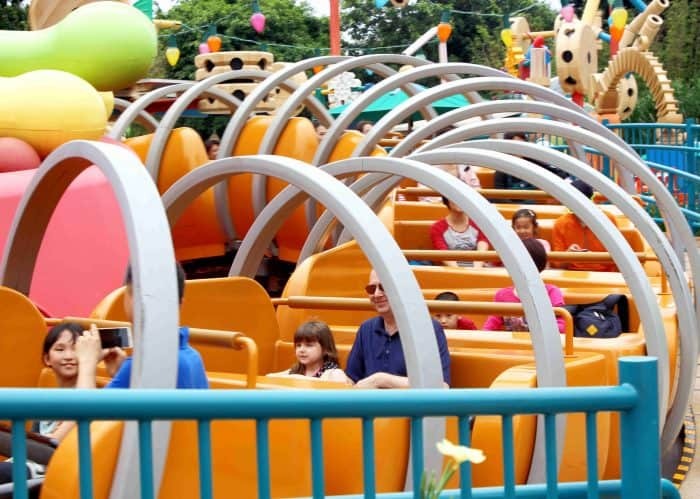 Hong Kong Disneyland had only been open 11 years when we were there, but Disney realized it needed a makeover. A multi-year renovation started after we were there. More on this at the end of the post. Just know that my pictures (smog ridden that they are!) 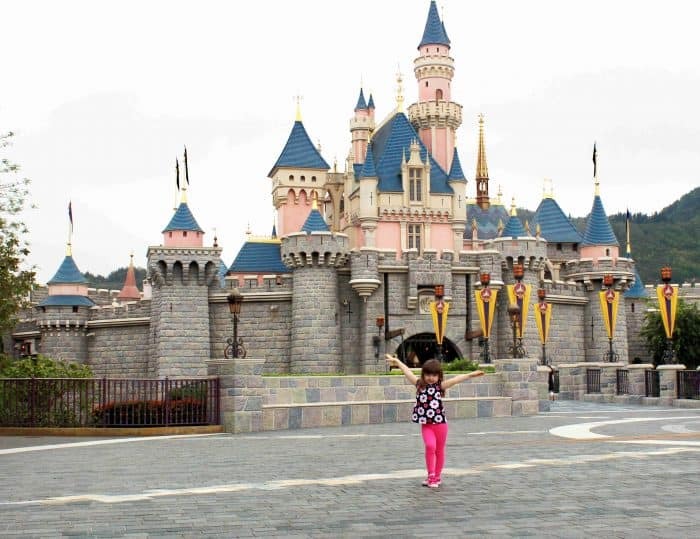 and review of Hong Kong Disneyland were before the renovation started. Like its US counterparts, HK Disney is comprised of various lands. Here, you will find 7 succinct areas depicting Disney themes large and small. Here at Main Street U.S.A., you will recognize the iconic layout of most Disney Parks. Take a walk down Main Street, past little food and souvenir shops as you make your way to the ‘spoke’ leading to all the lands in front of Sleeping Beauty’s Castle. This castle is modeled after the one in Anaheim. This was surprising to me as it’s actually quite small. For a park that’s only 11 years old, one would think they would build something grander. I guess that’s why it’s now undergoing a renovation to be similar to the one just built in Shanghai. I want to live in Fantasyland! Really, I do. For those of you that have been to other Disney Parks, this land will be quite familiar. Actually, it feels like home. Maybe that’s because, at one point in my life, Disney Jr was the only TV station we watched at our house so I came to know the Princesses and cartoon shows very well. 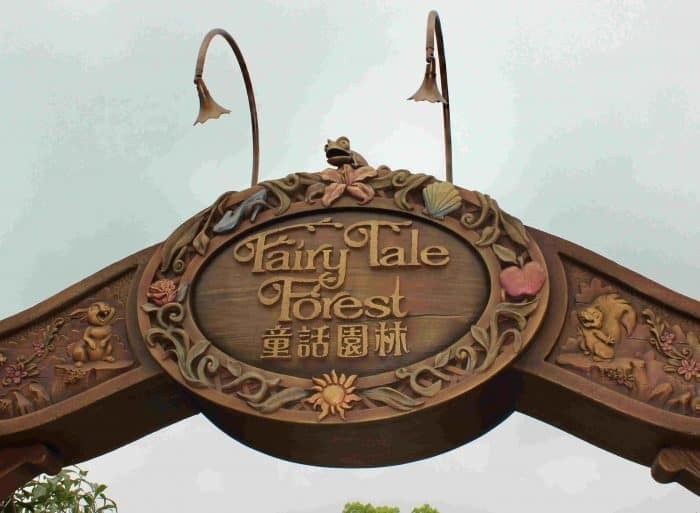 One distinct difference is Fairytale Forest. Neither US park has this magical attraction. 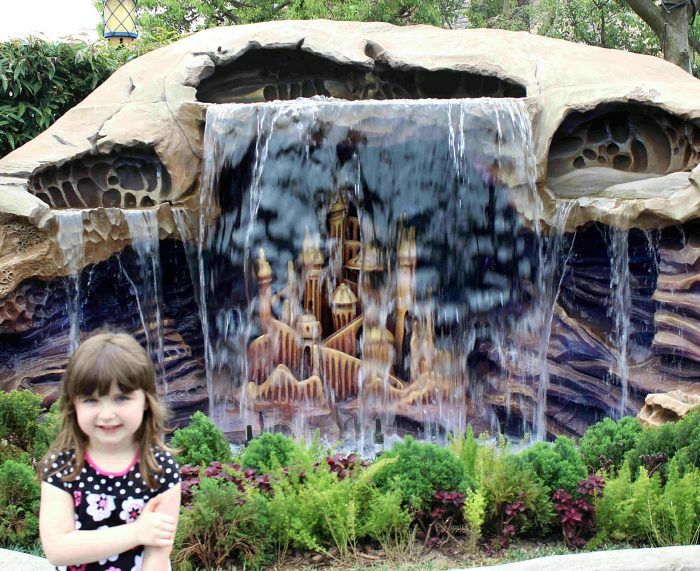 Disney calls it ‘the enchanted Fairy Tale Forest where scenes from some of your favorite princess fairy tales come to life in a magical garden setting”. 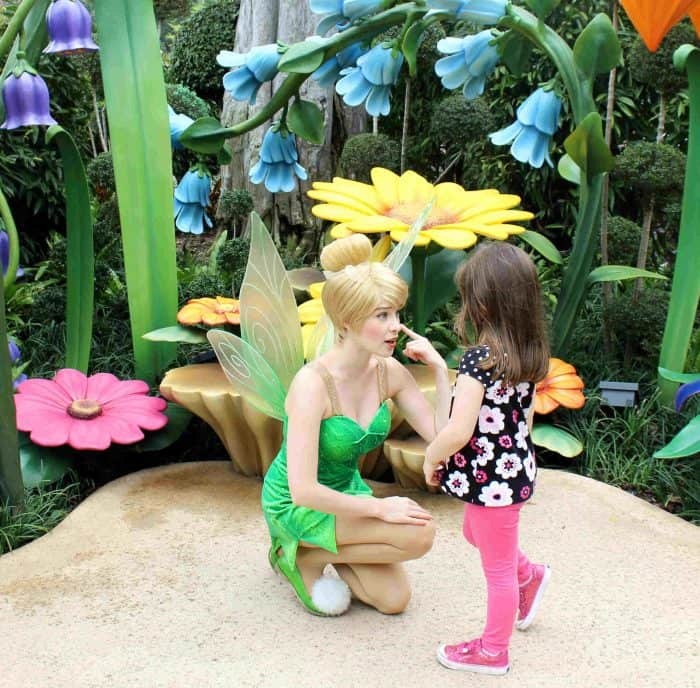 You walk through the garden and encounter the stories of Tangled, Snow White, Beauty and the Beast, Cinderella, the Little Mermaid and Tinkerbell. Their fairy tales are re-imagined into miniature sized castles, waterfalls and caves in a sea-inspired landscape. The Mine cars have always been one of our favorite rides at the Parks. This one was no different. It is a great ride for people of all ages as it’s a mild roller-coaster with a few dips and turns. 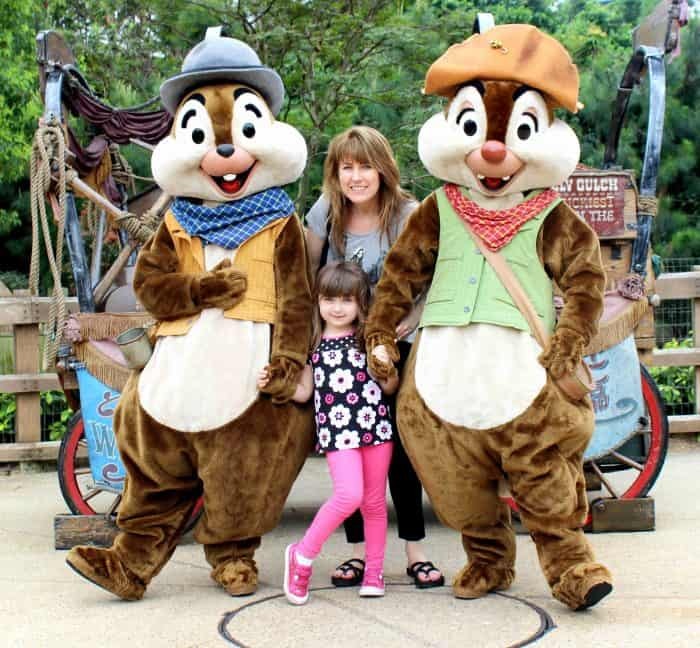 It’s also the area to meet Chip and Dale – my favorite characters! The land embodies some of the Asian culture and is not found in the US parks. I would compare the Mystic Manor ride to the Haunted Mansion. However, the premise is that the Manor is one of the foremost private art museums in the world. You ride on a trackless carriage throughout the 8 galleries and watch artifacts from all over the world come to life. Definitely ride this! Tomorrowland is my least favorite land in all parks. It just doesn’t have the magic for me as the others do. However, younger kids looking to ride Hyperspace Mountain (similar to Disney World’s Space Mountain) will be in for a treat because you only need to be 40 inches tall compared to 48 inches to ride the one in Orlando. Needless to say, my daughter was ecstatic. Although this is not good news for me as the Mine Cars are the only roller coaster I will ride. Toy Story Land was neat to visit as the one in Orlando hadn’t opened yet. This has been such a successful franchise for Disney, it was heartening to see it getting some recognition. Slinky Dog Spin and the Parachute Troop rides were a hit. This is an area with rides for younger kids and it was quite empty when we were there. With all of the above attractions and rides, you might think Fastpass would be more prevalent. However, it is only offered on 2 rides: Hyperspace Mountain and The Many Adventures of Winnie the Pooh. Fastpass is Disney’s way of reserving a time slot to ride. 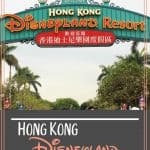 Hong Kong Disneyland uses the paper Fastpass System and not the electronic one (Fastpass+) Disney World does. You cannot book a Fastpass for HK Disney online. Instead, you go to one of the Fastpass kiosks, insert your park ticket(s) and a Fastpass ticket prints out with an hour time block of when you should return. You cannot pick your time block. Usually, your wait, if any when you return, is substantially shorter than if you didn’t have a Fastpass because you technically reserved your place in line. Only one Fastpass is allowed at a time. Once that is used, you can request another from the kiosk. 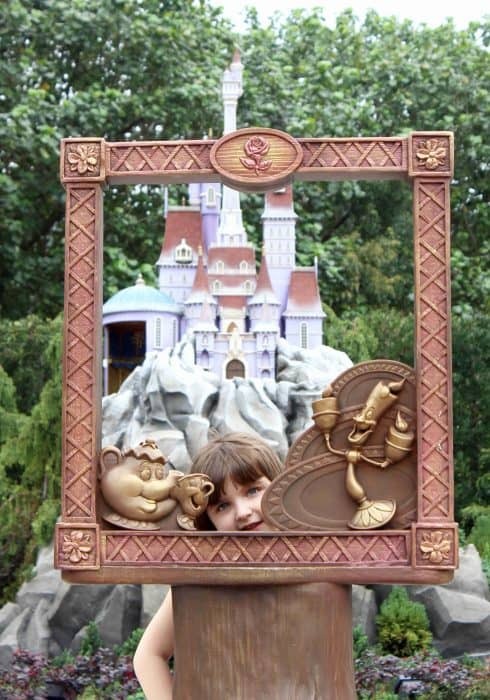 With only 2 attractions having the Fastpass ability, you don’t need to an elaborate plan for making the best use of them. If either of these rides has a line longer than you want to wait, just grab a Fastpass and come back to it. Maybe it’s me, but it seems like there are quite a few characters you can grab pictures and autographs with. Here’s a list of them and where they can be found. Although we had been to Disney World in Orlando about 5 times before this trip to Asia, we never were able to see Anna and Elsa. With a 60-90 minute wait time, I was not about to stand in line that long, plus I didn’t want to use a valuable Fastpass+ on it. 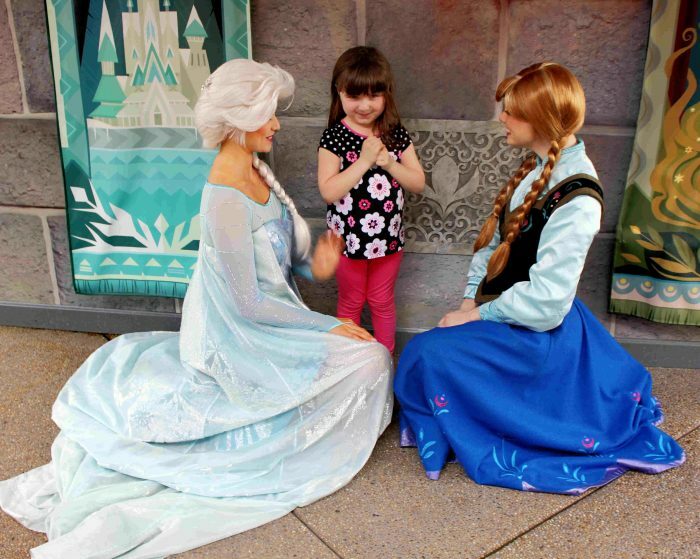 I laugh because I tell people we traveled all the way to Hong Kong to see Anna and Elsa! Somehow, we heard they were coming and we were first in line. They spent a lot of time with my daughter and I thought it was priceless to see her face when she actually met them. 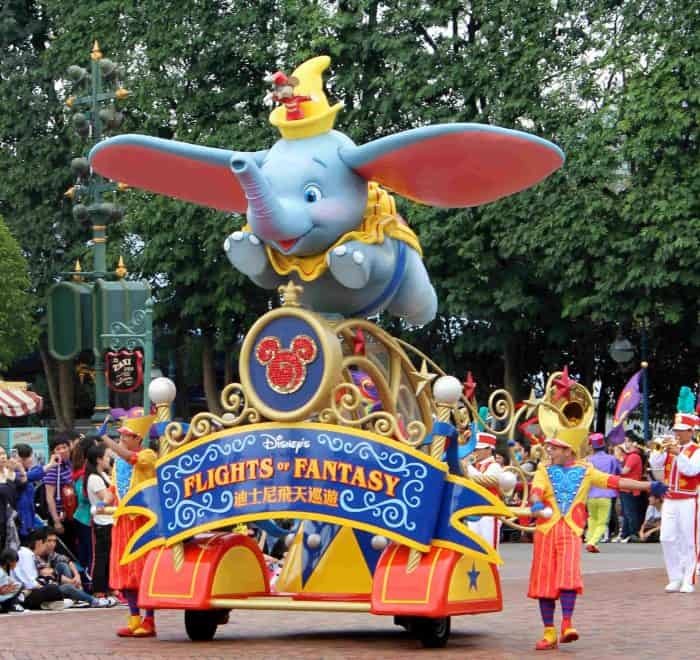 Disney’s Flights of Fantasy Parade takes place daily at 4:00 pm. This parade reminds me of Disney World’s Festival of Fantasy Parade. 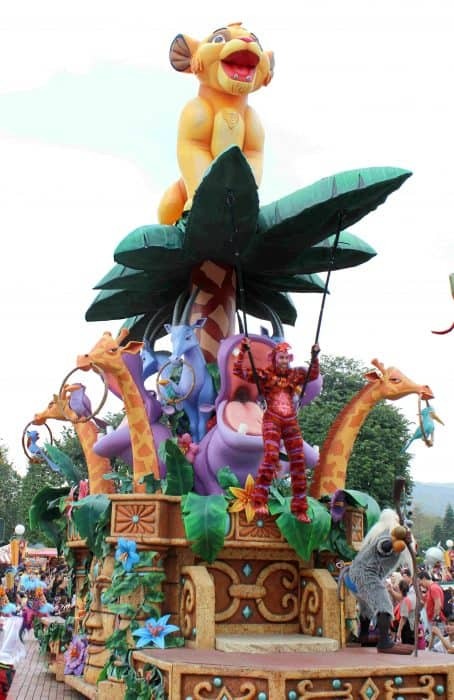 Mickey Mouse and his friends are rocking out to music as they pass by on magical floats depicting their adventures. The route starts in the back of the Park between Storybook Theater and Star Wars Command Post. From there, it winds around and turns left onto Main Street before ending next to Art of Animation. The Paint the Night Parade starts at 8:00 pm and follows the same route as above. This colorful and glowing parade is an energetic way to end your evening. 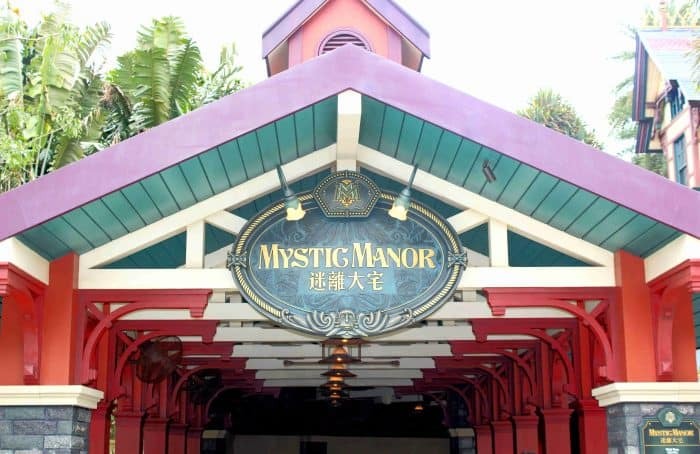 With the renovation in process, Hong Kong Disneyland does not have a fireworks show. However, it will be resumed upon completion of the new castle. 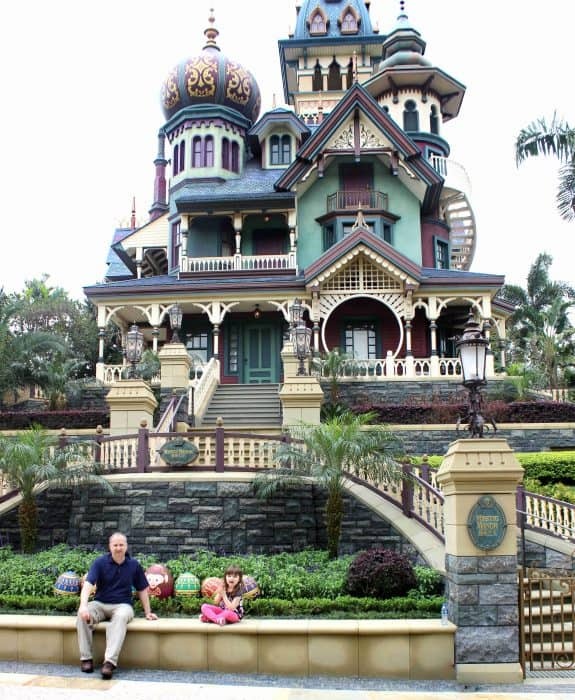 Hong Kong Disneyland has its own mobile app available in the App Store or Google Play. 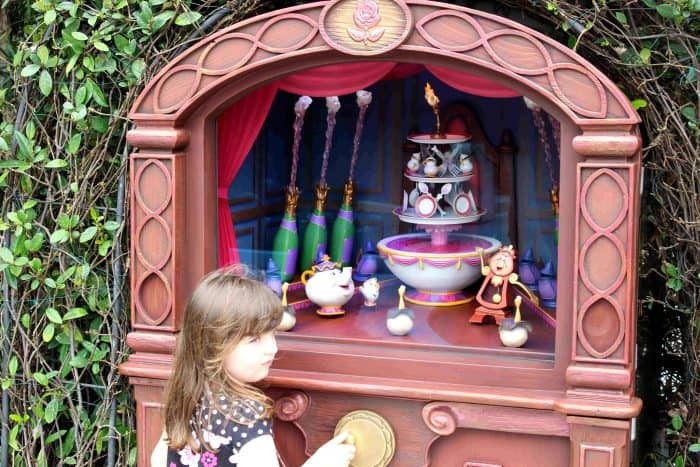 You can check wait times, see where characters are meeting, make reservations and find specific details regarding show times and locations of stores and restaurants. At the time of year we were there (March), one day to visit the Park was plenty. 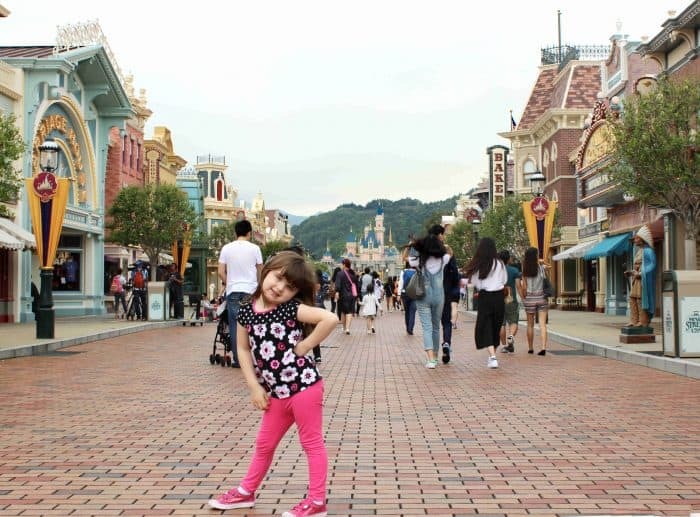 If you took in as many shows as possible and were staying at one of the 3 HK Disneyland hotels, a 2-day ticket would make sense. 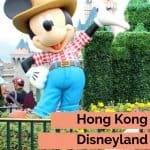 As a tourist, I didn’t want to spend more than one day at Disney because Hong Kong has so much more to offer. Hong Kong Disneyland’s website calendar doesn’t show park opening and closing times past 2 months out. The earliest open time is 10:00 am with some days not opening until 10:30 am. Closing times vary between 8:00 pm and 9:00 pm with later times on the weekends. Check their calendar before starting your day. There are a number of ways to get here depending on where you are in the city. 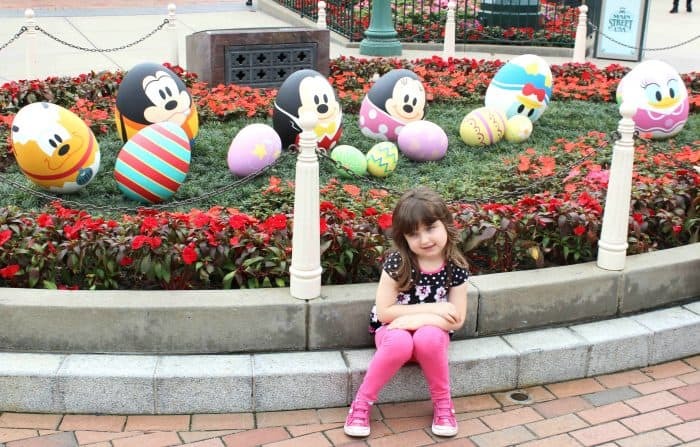 Hong Kong Disneyland is located on Lantau Island – same area as Hong Kong International Airport and also Big Buddha. 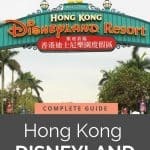 I would suggest checking HK Disney’s Transportation Website for more details. 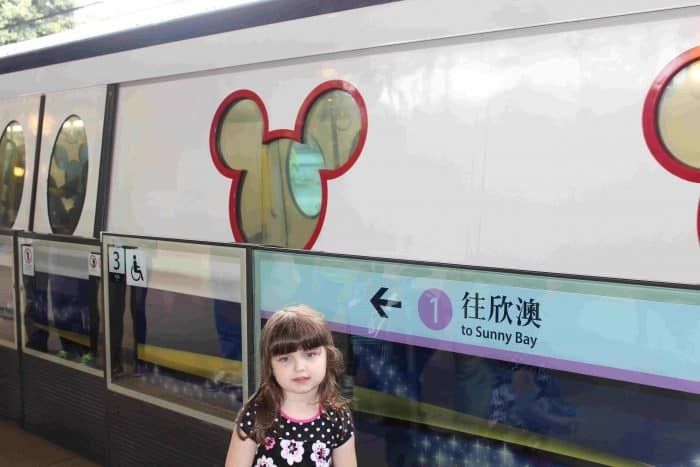 The Sunny Bay line is HK Disneyland’s service to the Park. It gets everyone in the Disney spirit as everything from the train windows to the handrails are in the shape of Mickey Ears. As I mentioned above, the Park is undertaking some big renovations. Besides converting Sleeping Beauty’s castle to a castle enjoyed by all the princesses, two new lands are being developed. Both Frozen and Marvel characters will soon have a new place to call home when renovations are completed. The Frozen themed area will be reminiscent of the town of Arendelle where Elsa and Anna live. There will be rides, shops, restaurants and entertainment based around these princesses. It should be completed in 2020. The new Marvel-themed land isn’t expected to be completed until 2023. While it may not have the glitter of the bigger and new resorts in Shanghai and Tokyo, I would definitely return here to HK Disney. With the mountains as its backdrop, the shorter lines, no chaos and hospitable Hong Kong residents, this is a great way to spend a day in Hong Kong whether you have kids or not. Or maybe you are just a Disney addict like me. Traveling from afar to come here? Read up on ways to stay healthy while traveling. 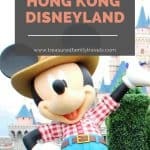 Have you been to Disney Hong Kong? What about Paris, Shanghai or Tokyo? Which has been your favorite? Let me know in the comments! If you enjoyed this article, please PIN it! Thank you. How fun! I don’t think I’ll ever make it there, but I loved reading your review and seeing your fantastic pictures. 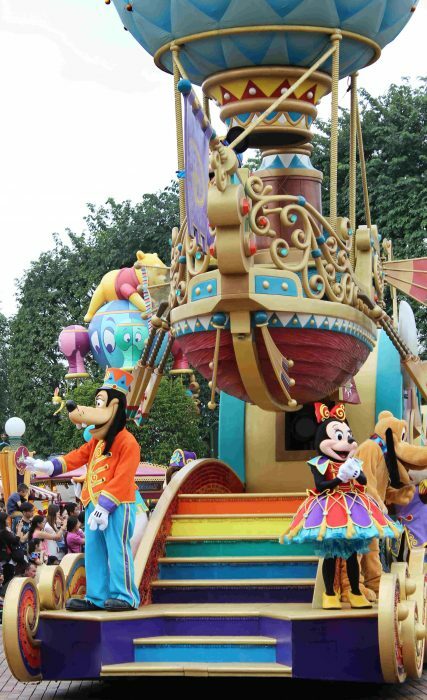 Glad to see they do parades every day in Hong Kong – no one does a parade like Disney. 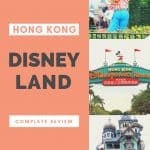 I loved reading your take on Hong Kong Disney land! 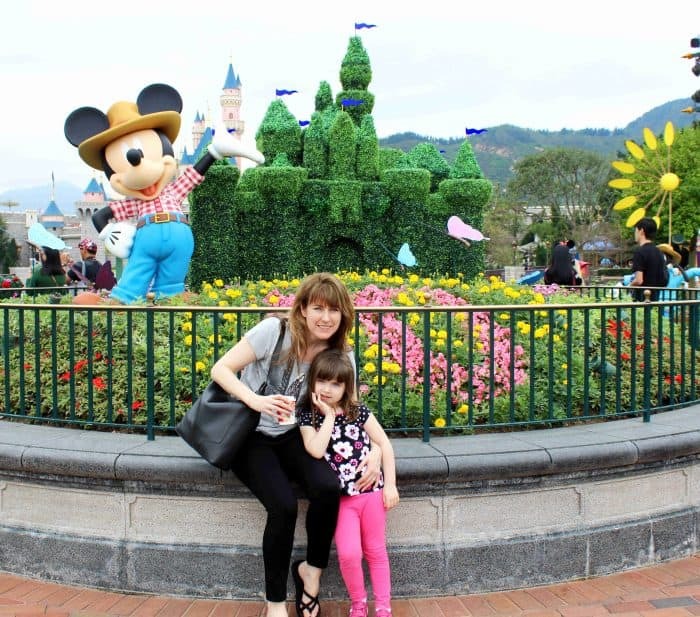 We just went to Tokyo Disneyland in July. The park was tiny as well, but with huge crowds who were incredibly polite. When the electrical parade came on at night, all of the guests sat on the ground so everyone could see, and many people removed their ears to be polite to the guests behind them. Oh wow! You were at Tokyo Disney! I am hoping to go there in 2021. Isn’t it amazing how polite everyone is? Yes, I bet that one is a lot more crowded than HK, but I still can’t wait to see it. I’m looking forward to going to DisneySea. Thank you for stopping by. 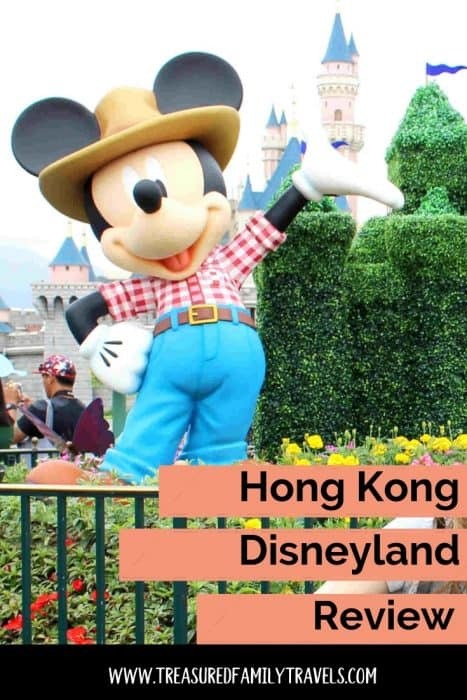 I’m a little embarrassed to admit I didn’t even know that there was a Hong Kong Disneyland! Great and in-depth review. LOL! Not everyone is Disney-obsessed like me! Yes, our whole Hong Kong and Beijing trip was so much fun and what a cultural learning experience too. I would do it again in a heartbeat. Thanks for reading! 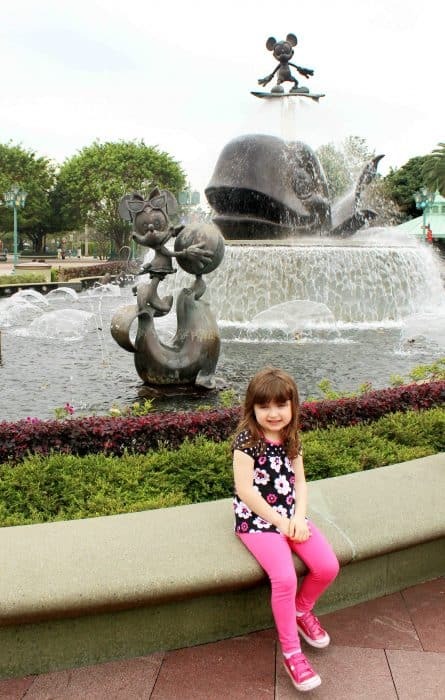 Great read I cant wait to experience Disney again with my little one. What a thorough review! Can’t wait to read more from your HK trip! This is great! I bet it is much more relaxing not being so crowded! We went to Disney World in January last year and it was still crowded. I’ll have to check this place out! Thanks for sharing. It was so relaxing! So much different than the parks in the States. You could actually just ‘stroll’ instead of rushing from ride to ride… Thanks for reading!